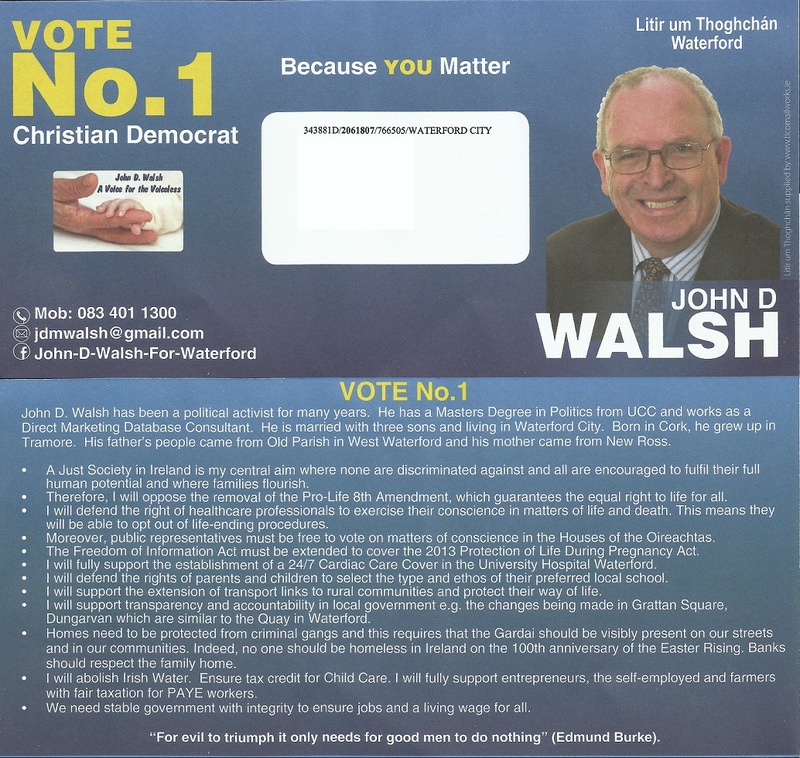 A Leaflet From John D Walsh who is running as a Christian Democrat in Waterford. 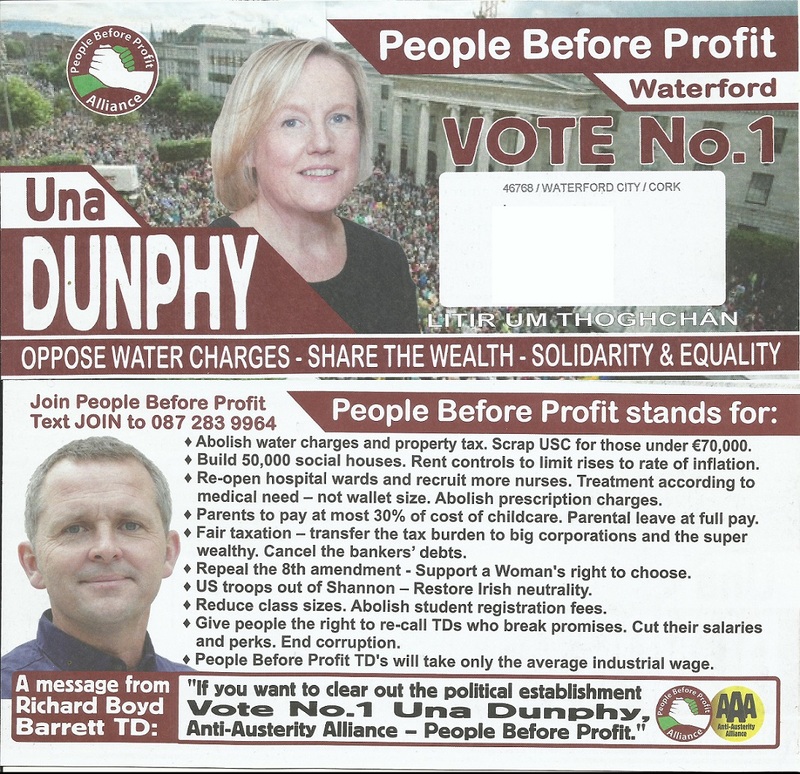 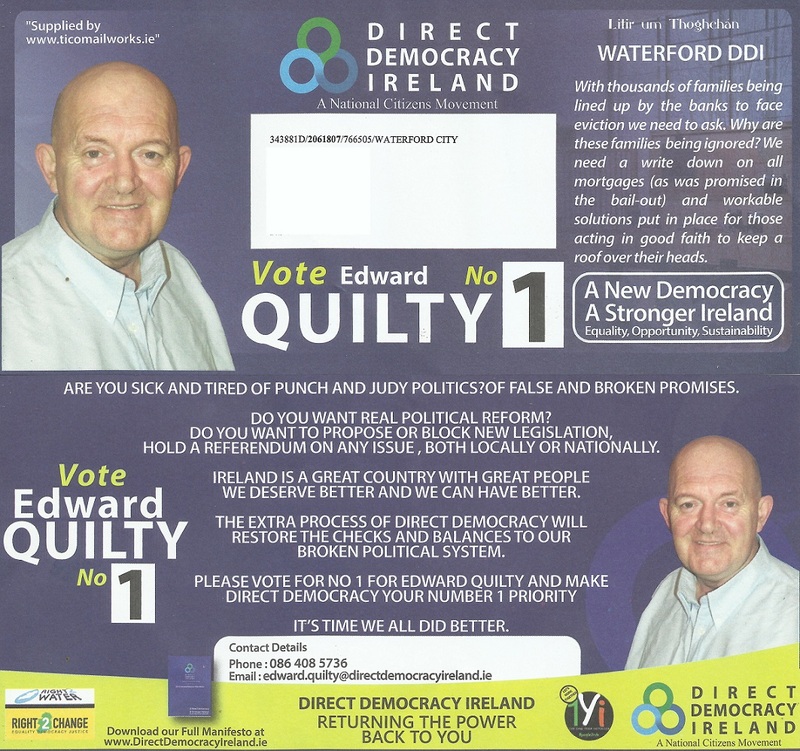 A Leaflet from Edward Quilty who is running for Direct Democracy Ireland in Waterford . 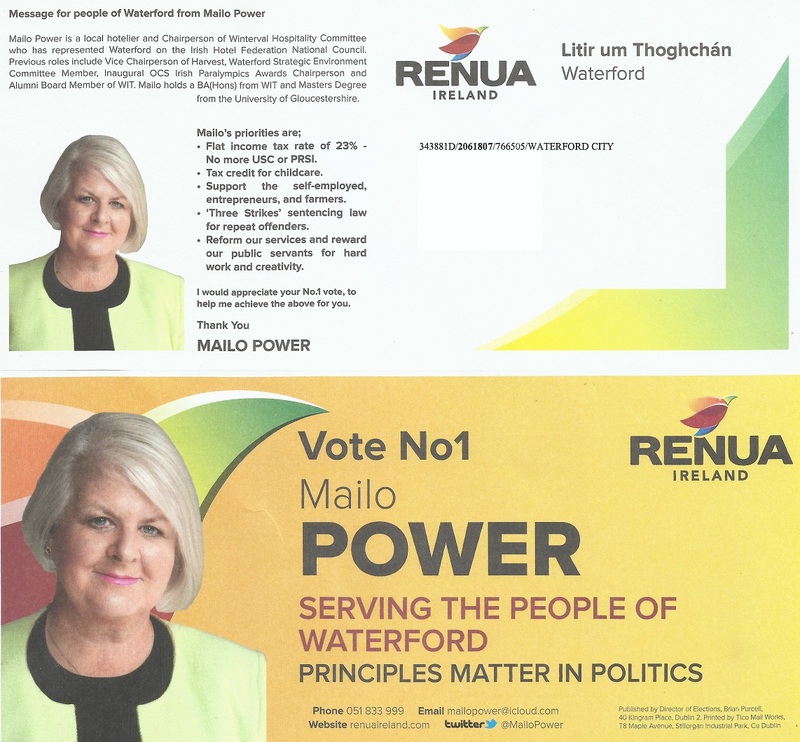 A Leaflet from Mailo Power who is running for Renua Ireland in Waterford. 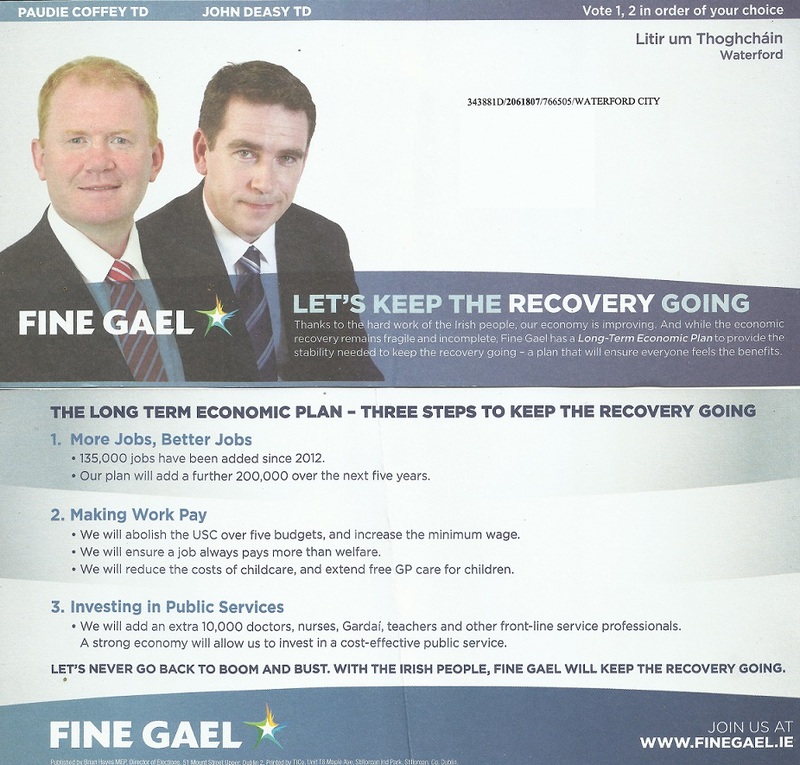 A Litir um Thoghchán from Paudie Coffey and John Deasy who are running for Fine Gael in Waterford. 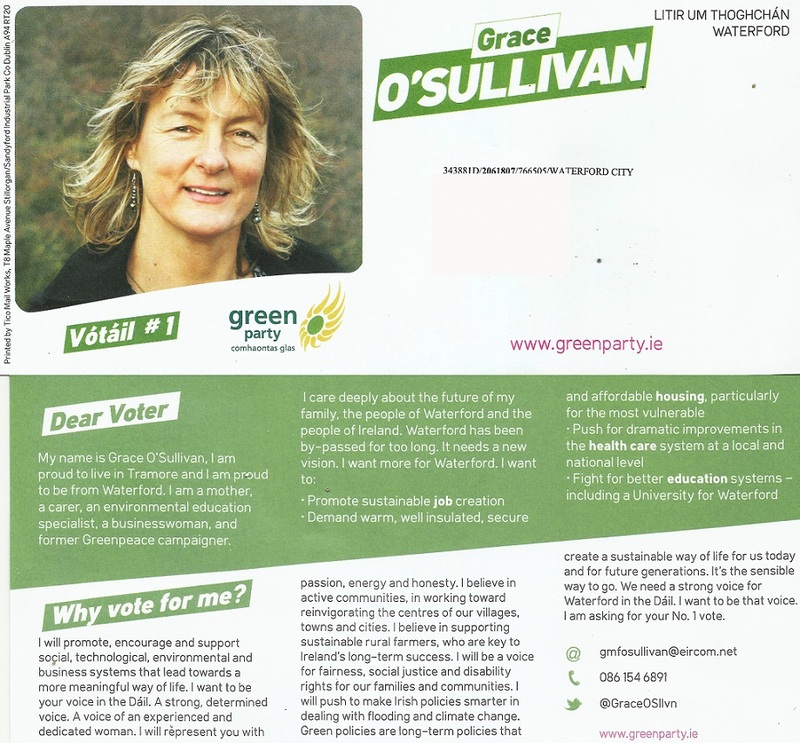 A Litir um Thoghchán from Grace O’Sullivan who is running for The Green Party in Waterford. 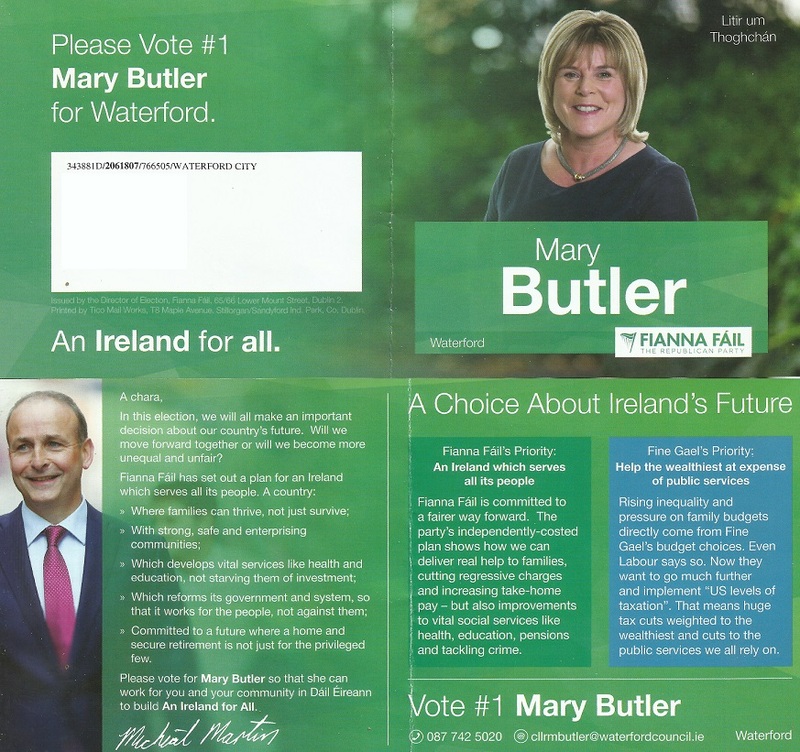 A Litir um Thoghchán from Mary Butler who is running for Fianna Fail in Waterford.